A week on the road led to me discovering two new and noteworthy medium bodied cigars. The first one I received in a monthly sampler/shipment, Angelenos by God of Fire, and the other the new Kristoff Kristania. Now I’m much more of a medium to mild cigar guy and I do enjoy many full bodies ones when done correctly. This cigar has star-power! It absolutely hit my palate like Angelina Jolie would walking into the room. This cigar is produced by God of Fire at the Arturo Fuente factory in the Dominican Republic and they have got to have some secrets up their sleeves. I for one don’t expect much from a medium cigar other than some pleasant burning properties and possibly some nice spice or cedar flavor. From first light this cigar was the equivalent of opening a can of Cocoa. The spice and sweetness simply overwhelmed me and I really was in a special place in the first puffs of this cigar. I tend to smoke a cigar twice before I speak about it but I had to put this in writing and will definitely hold the second one I have for a special occasion when no one has the ability to bother me. This one is a robusto measuring 5.25″ and a ring measurement of 50. The notes that came along with it describes it as a high-end, super-premium cigar and I believe them. The filler is Dominican and the wrapper is an Ecuadorian Connecticut leaf. 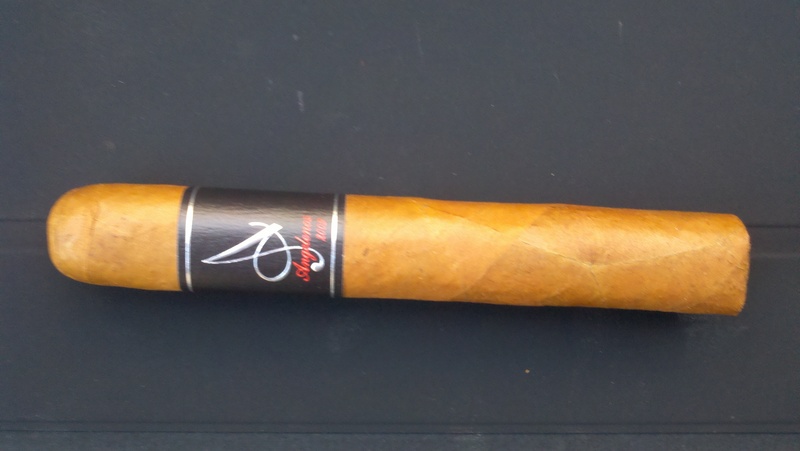 The construction of this cigar is beautiful and I only ashed this cigar twice! This is simply an elegant and satisfying smoke, I highly recommend this one! Now, onto the next one….. I have been a fan of Kristoff cigars and when I heard they were releasing some new ones I just had to try them, regardless of the strength. 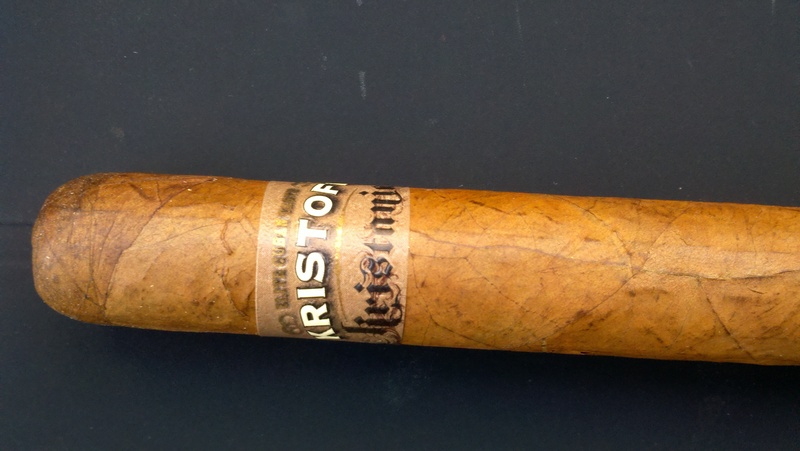 My reward was stopping by Havana Connections and procuring a handful of cigars, two of which are the new Kristoff offerings. The Kristoff kristania found itself my chew-toy through a blinding rain storm in Virginia and after an hour or so when the rain stopped and my tank ran near empty I decided the light rainfall and receding clouds would not stop me from firing this one up. I believe you can tell a lot, yet not everything about the taste of a cigar by gnawing on it for awhile. The cigar itself is delicious looking and reminds me of a well worn baseball glove. It also strikes me as tasting like fine leather. Its a rather large ring gauge at 60 and 5.5″ in length. After firing it up it made itself clear, I am a smooth smoking no-nonsense cigar. It is a supremely balanced cigar and does not deliver any flavor like the Angelenos but this is an affordable cigar that simply delivers. You could smoke this cigar almost anytime of day and it will more than please the mild to medium smoker. I really enjoyed this cigar and will probably, or just will find it again. I have the other new Corojo limited and will probably comment on it in the future. I really am a fan of Kristoff and you should try them out. Until next time! Smoke ’em if you got em!